Make snacking FUN with these creative, beautiful and delicious rainbow treats! These make awesome snacks for kids for St. Patricks Day or a Spring rainbow theme. Are things dreary and grey where you are at? 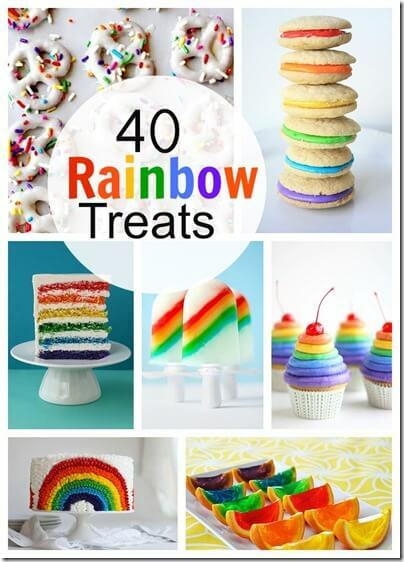 Add some color to your day with these 40 Rainbow Treats from Made to be Momma. They are as yummy as they are pretty to look at!